These can be gently pulled or dug as soon as the tops are large enough to handle. For beets, harvest when they are no more than 3” across. Beyond this size they have usually passed their peak of flavor. The beet greens are also edible. 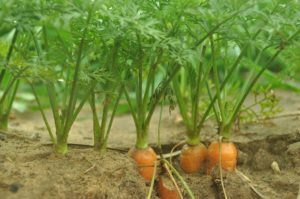 For carrots, harvest should begin as soon as the roots are thumb-size or larger. Carrots have their best flavor when not more than 2” in diameter. Pull the largest plants first to give the smaller ones growing room. For radishes, harvest as soon as they reach eating size for best flavor and crispness. 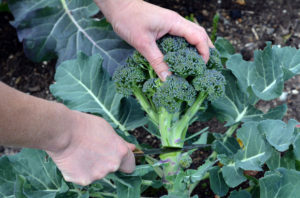 Composed of flower buds, broccoli must be cut before the flowers have a chance to open. The head should be green and densely packed. Take about 3-4 inches of the edible stem with the center head; this stimulates further production of side shoots you can pick later on. 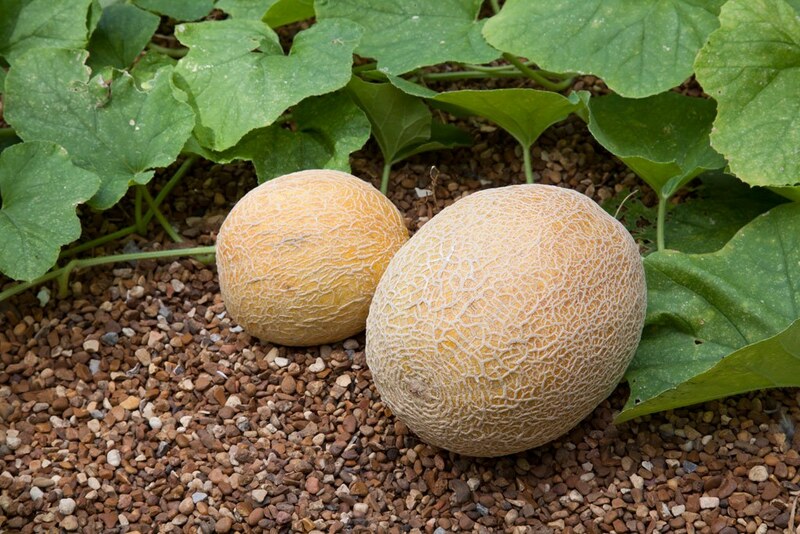 When a cantaloupe is ripe, it will slip easily from the vine, and the netting on its surface will turn beige. Harvest as you wish throughout the growing period. 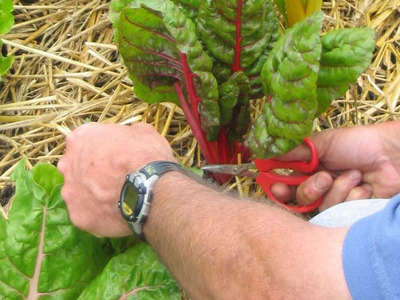 Pick individual leaves, or cut leaf stalks carefully just above the ground and new growth will continue. The stalks are also edible. 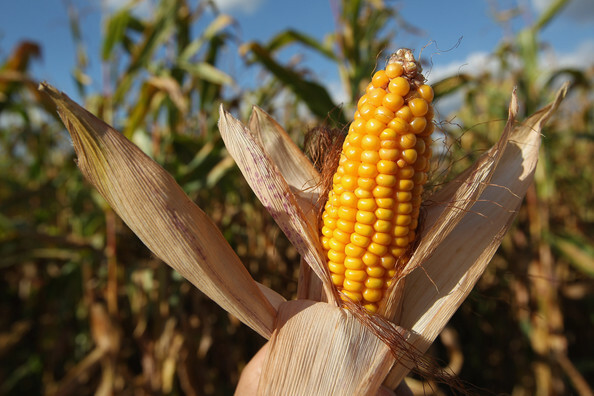 You will know when it’s ready when the silks turn brown and the ears feel full through the husk from end to end and the kernels squirt milk juice when punctured. Harvest regularly, several times a week, this stimulates the plant to longer and more abundant production. Cut from the vines when they are young because as the cucumbers grow larger, the seeds develop and must be removed before eating. Pick them when the fruits are about 4” in diameter and still glossy, they are at their peak. 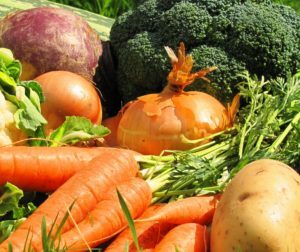 These can be harvested green, yellow, orange, and red depending on the taste you want. Pick off mature fruit to keep the plant producing. Harvest them when the seeds inside feel small in their pods. This ensures they will be tender and stringless. Harvest your summer squash when they are small and tender, before the rind hardens. These become tough and stringy when large. Pick winter squash only after rind becomes hard in the late summer or fall. These fruits continue to ripen after picking, but they develope the best flavor when left to reach their full color outdoors on the vine. Just before the first fall frost, pick all the green tomatoes on your vines and place on your window sill to ripen.